The holidays are here again, and when Christmas morning comes around, don’t you want to serve something hearty, heart-warming, flavorful and festive as you sit around the fire and unpack your stockings? This Christmas, serve your family something they’ll look forward to even more than unwrapping gifts! 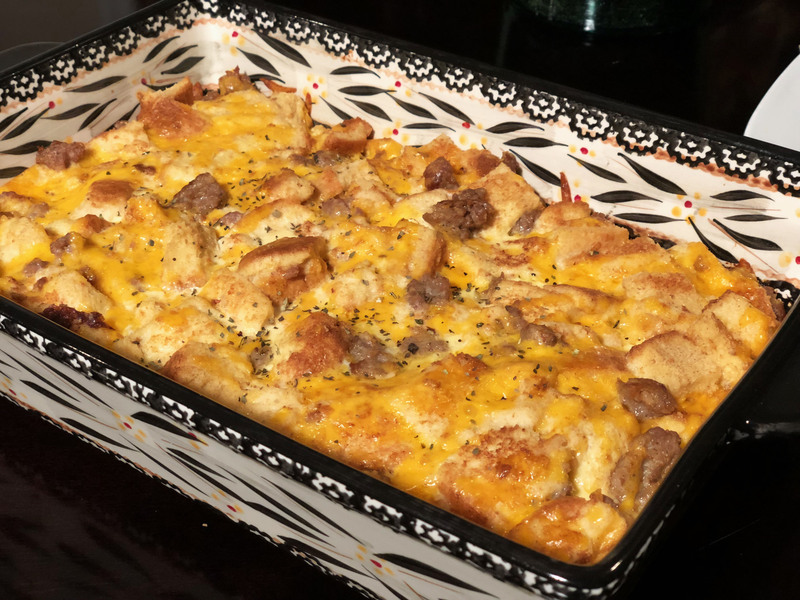 This breakfast sausage casserole is perfect for keeping spirits bright. 1. In a medium skillet over medium-high heat, crumble your sausage meat and cook with olive oil or butter until well-browned and cooked through, stirring occasionally. Drain excess fat with a paper towel and set aside. 2. In a mixing bowl, combine mustard powder, milk, eggs and salt. Stir in the toasted bread cubes, cooked and crumbled sausage meat and cheese and mix until well incorporated. Pour into a 9×13-in. greased baking dish, cover with cling wrap and refrigerate overnight on Christmas Eve. 3. Come Christmas morning, preheat your oven to 350°F, remove the cling wrap from your chilled baking dish and cover with tin foil, then place in the oven to bake for 45 minutes to an hour. Uncover, reduce your oven’s temperature to 325 and cook for an additional half hour until set. Christmas breakfast is served! Did the taste of our Sweet Italian Sausage light up your holiday season? 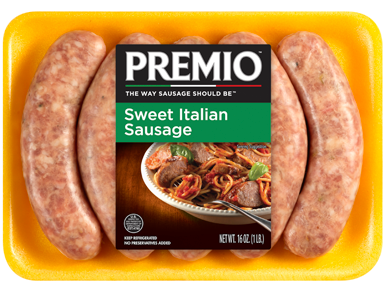 Enjoy all our sausage varieties year-round when you search for Premio products in a store near you.